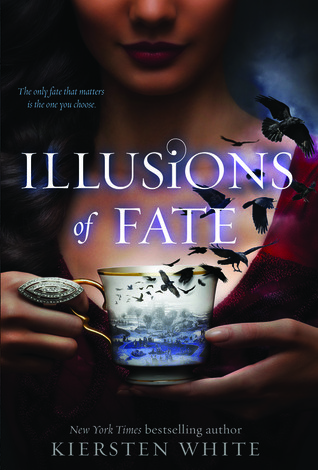 As a huge fan of Kiersten White’s Paranormalcy series, I was super excited to read Illusions of Fate not actually realising it was a pseudo historical fantasy which to be honest, I am not a fan of at all. Our main heroine is Jessamin, a likeable strong (at times stubborn), witty character who is an outcast in Albion; she is a character that knew what she wanted and what she didn’t which was an arranged marriage her mother was imposing on her; her dream is to complete her education to become a teacher so she is dedicated to achieving this goal. At the beginning of the book, Jessamin is rescued by an enigmatic mysterious man named Finn who is a Lord but she doesn’t fall under his spell and he is intrigued but he is from class and she is not. I enjoyed learning more about Finn and his secrets; he was an interesting, kind character who was loyal and dedicated. Despite a slow start, the plot quickly became exciting and had an ominous feel to it as we see two countries embroiled in politics; I loved the magic and the blend of romance, magic and imaginary. Despite feeling some parts were predictable it was interesting to see how everything would play out. I especially liked learning about Jessamin’s island home of Melei and the dull country of Albion. The world-building came together nicely and I actually liked the alternate historical setting. All of the characters were interesting, especially Eleanor who bought a bit of wry humour to the story. Lord Downpike was creepy and Jessamin’s Bird book was wonderful. Overall, this book was wonderfully written and was filled with a sweet romance, magic, a beautiful setting, laugh out loud moments and delightful characters it held my attention from the very first page. 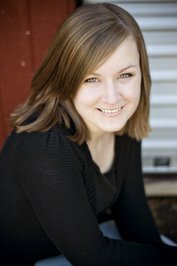 About the author: Hi! I'm the New York Times best-selling author of Paranormalcy and Supernaturally. I also give the most awkward hugs in the world. You should probably opt for one of my books over one of my hugs, but then again, maybe you like awkward hugs. OOoh nice review! I was debating about this one since I didn't really enjoy Mind Games but loved the Paranormalcy trilogy! This one definitely sounds intriguing and I will have to keep an eye out for it! Great review! Urgh! I was expecting more of the same from Kiersten White; that's too bad that this book didn't measure up to her Paranormalcy series. I'll move Illusions of Fate to the bottom of my pile. Happy Friday, Sharon! I've not read anything by this author yet. Thanks for introducing me to the series. It sounds pretty good. Nice review!! I'm a long term fan of White, so I'll definitely be checking this one out at some point. Great review, Sharon!